Lulu's Life: My current Vape setup! Hi guys! A little over two years ago, on Halloween to be exact, I quit smoking cigarettes! That would not have been possible without Vaping! To start, I was vaping 6mg of nicotine, and now I’m at 3mg. I honestly could go down to 0mg of nicotine without problem, but I don’t feel like it to be honest. Haha, I know. I’m stubborn, that’s just me. When I initially started vaping, I was a bit anxious and fidgety. But that was all gone after the first day or two. I started with a basic pen set up and moved on and up to a much beefier vape after a year or so. Some of my favorite companies to buy tanks and box mods are Aspire, Joyetech, Smok, Kangertech and Eleaf. There are many misconceptions when it comes to vaping. Personally, I have done my research and know it's not bad for you. There are hundreds of articles debating either side of the subject. Feel free to look into it yourself for more information. But if you have questions, feel free to ask me anything and I'll answer you to the best of my ability. If I'm not sure, I can find a website that'll have the answer! Now let's get into what I'm using, from box mods, tank, coils to juices! On April 14th, 2016 I got my box mod, which is a Joyetech Cuboid 150w mod with upgradeable firmware to 200w. It also does temperature control vaping, I haven't decided if I like temp control yet. I’ve tried it a few times and it seemed like there was too much air and not a hard enough hit. It takes two 18650 batteries, I’d recommend an external charger for them. The batteries will charge more evenly and a lot faster. The Joyetech Cuboid is made from solid metal, though the website doesn’t say what it’s actually made from. It’s a heavy little mod for the over all side if it. I have relatively small hands and it fits nice in my hands. The large screen is very simple, user friendly and easy to read. I do have to say, the one thing I don’t like about it is, the paint has chipped quite a bit. I’m the type of person who isn’t rough on their things, especially electronics. I’ll include photos of what it looks like when you buy it, and a photo of what mine looks like now! 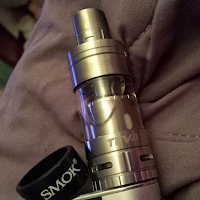 On October 3rd, 2015 I got my tank, it's the Smok tfv4. The base has adjustable air vents, as does the drip tip. I personally have my bottom vents fully opened and the drip tip vents closed. I use the triple stack coils, they're by far my favorite ones. They run 40w - 130w. Now days they make about ten different coils, I’ve only tried three of them. The quad coils are too airy and make the juice taste less flavorful, kind of like the temperature control coils. This tank holds 5ml of fluid and can last all day, depending on how much you vape and how high you run your wattage. The combination of my box, tank and coil put out some thick white clouds. I only run my mod at 85w, it’s my sweet spot. I have noticed if I drink alcohol, I’ll run it around 90w. That makes it a bit hotter and harder of a hit. Which I do like sometimes. There are three coils I have tried for my tank. 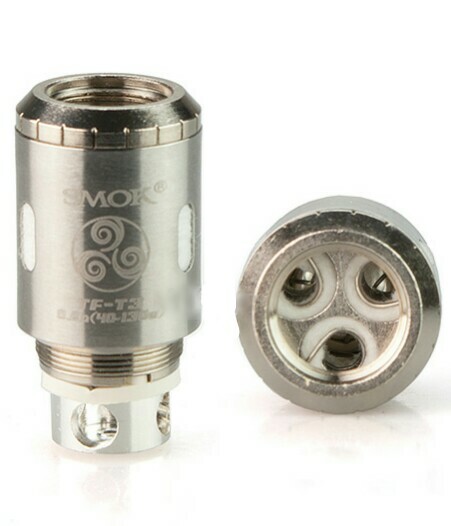 Those would be the TFV4 Triple Coil, the quad coil, and a nickel temperature control coil. The only one I like is the triple coil, it has the best air flow for my asthmatic lungs lol. I still manage to make decent clouds even with asthma. 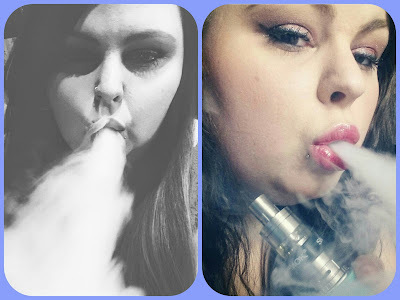 The moisture in my lungs from vaping helps me to breath easier as well. One thing that is important, don’t tighten down your coil too tightly or you could break the coil, or the mod just won’t read it and you will get the “No Atomizer Found” warning. That’s so annoying, especially I’d you just filled the tank up. I’ve started checking that before I fill it. Sometimes I’ll tighten the coil down just a quarter turn and it will throw the warning. So just pay attention when your putting in new coils. My favorite thing about vaping is all of the different juices there are on the market! I prefer 80/20 vg. It’s thicker and produces better clouds. 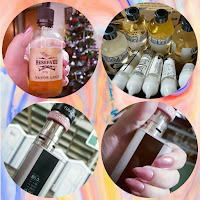 There are two main companies I buy from Cool Breeze Vapors and The Cloud Junkies! I guess you could say I’m a picky girl. I love fruity, sweet tastes. Cool Breeze Vapor has a line called Reserved, and the best juice in that line is called Vapor Lock. I think I have bought about 5 of the 120ml bottles over the last few months. It’s a sharper fruity taste, unlike my other favorite juice which is by The Cloud Junkies. That one is called Haze. I’ve probably bought ten 120ml bottles of Haze. It’s a berry flavor with a hint of marshmallow to mellow out the flavor so it isn’t as sharp. The Cloud Junkies has a pretty vast range of juices, my favorites are Haze, King (pumpkin pie), Bury (stronger berry taste like Haze but a bit harsh). Thank you so much for taking time to read this post. I hope you check out some of the products I’ve mentioned! They are all awesome! I’ll be sure to have links to all of the products mentioned! I hope you enjoyed this post, if you have any questions or feedback, leave them below or send me a message over one of my social media pages, links on social media page!